Madeleine is 16 and from Boston, Massachusetts. She learned to sail in Kennebunkport, Maine at the Kennebunk Beach Improvement Association (KBIA), and recently she has been sailing on the Charles River with her high school team. Madeleine learned to sail at age 7 on Optis, and quickly graduated to racing 420s and lasers. More recently, Madeleine has been venturing out to keelboats, and hopes to expand her sailing experience to Nacra 17s and 49ers through Oakcliff’s High Performance Acorn program. 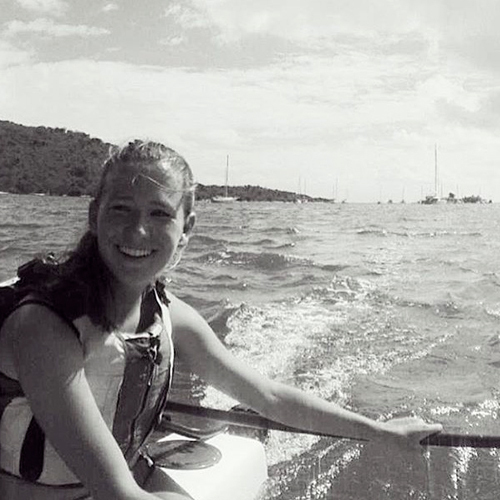 Besides sailing on her high school team, Madeleine races 420s in the summer, and coaches new sailors on Optis. She cannot wait to start sailing in college.